Because they mix on area descents and off piste exploration, freeriders require performance features that handle the rigors of both. The Sentinel’s large side pockets channel cargo away from impact zones, and double side zips open wide for rapid ventilation while traversing to steeper terrain. PowderCuffs seal out snow, can fit under snowboard highbacks, and are built from rugged 100D Cordura to resist tears and abrasion. Keprotec instep patches prevent damage from edge cuts and debris. 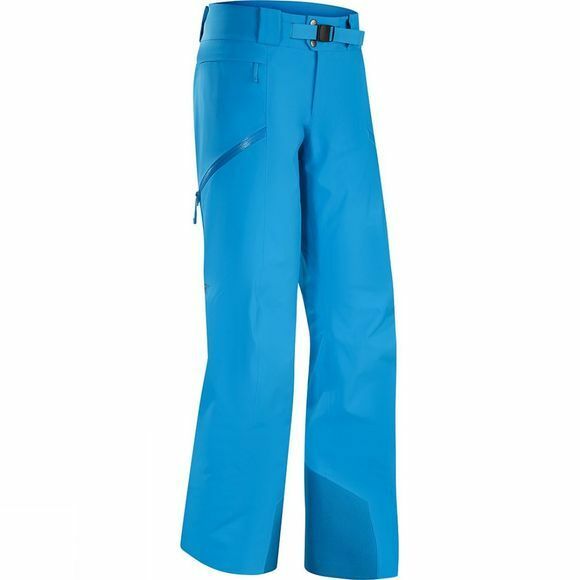 Integrated Slide’n Loc™ attachments link with the Sentinel and Scimitar Jackets’ powder skirts, creating a unified clothing system that moves with the body and helps seal out driven snow.